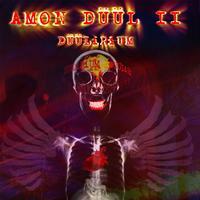 This is the first album from Amon Düül II in almost two decades. These guys have always been a legendary act. I have to admit, though, this is the first time I’ve heard them. I will say that the music here isn’t for everyone. It blends progressive rock, psychedelia and more into an experimental vibe that strange and also cool. I hear two distinct voices on this album, but there is only one singer listed. I’m not sure, but at times I think the second voice is female and the first male. If you like creative music that thinks well outside the box, but still manages to groove, this is for you. This sort of gradually coalesces into a jam band meets fusion and prog sound. The vocals deliver a real garage band kind of vibe. The music, though has more of that jazz and prog element at work. As it continues to grow both the vocals and music lend a real 1960s rock sound in a lot of ways. There are some female vocals on this, but I don’t see any one credited on the cover for them. Still, they take a verse and do backing duty. At least I think they are female. They are at least in a much higher register. This is expansive and quite cool as it continues. It’s almost like a jazzier, more proggy version of The Doors in some ways. Coming in with a really stripped back and tentative bit of jazzy weirdness, this grows out gradually from that. It’s quite strange. It coalesces into a more “song” like sound and moves forward. Again, there are a couple of different vocalists here. More jam band meets psychedelia and space is the order of business as this continues. This is far stranger than the opening piece. It’s also quite cool. This sort of drops out of existence at the end. The rhythm section brings this in with a killer jam. The cut gets some space rock as it continues. As this continues to evolve the jazz and prog elements come to the fore. This is a more energized and mainstream jam and the bass really drives it. Of course, that’s mainstream in terms of Amon Düül II, not in terms of music outside of this. I can hear something a bit like Talking Heads on this in a lot of ways. There is some killer jamming gong on here, despite the oddity of it all. This starts very tentatively and grows out gradually. Psychedelia, space music and more are the order of business as this slowly evolves. It starts to coalesce into an art rock meets psychedelic and jazz kind of arrangement after a time. The cut changes gradually, but decidedly. It becomes more of a rocking number after a while of that growth. It drops to some Hawkwind-like weirdness later. That section gives us an ending and then the piece shifts into what I assume is the second part of the title. It rises up with a tentative jazzy treatment and then starts to build from there in a rather improv-like way. It eventually shifts to more of a rock vibe and continues to push forward. This jam becomes a more straightforward one, but it still is packed with the usual ADII strangeness. It dissolves to mellower weirdness later. Then it works from there in a space rock kind of way. Art rock meets performance art after that. This gets more rocking energy as it builds outward. As it gets more rocking again there is definitely more of that Talking Heads-like element at play. It builds out in a more rock-oriented, punk meets space way before ending rather abruptly around the 26 minute mark.